eTribez and TV Globo Brasil have recently teamed up for online casting for Big Brother Brasil 17. TV Globo is the biggest television network in Latin America, and one of the largest media companies in the world. TV Globo produces a wide variety of reality shows – with eTribez providing our eTribez Casting solution for 10 TV Globo-produced shows, including Big Brother and many more. 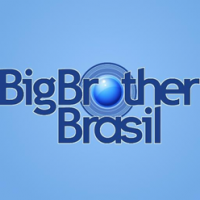 Big Brother Brasil is the Brazilian version of the global Big Brother series. It is the only version of Big Brother with 15 years of uninterrupted annual transmission on the same channels, and by the same presenter. The launch of online casting with eTribez has been a huge success for the show! Online casting is underway for Series 6 of The Block NZ. The show’s producers are looking for two-person New Zealand-based teams to renovate properties and then sell them for auction at the highest price….with the winner receiving a bonus cash sum at the end. The Block NZ is based on the Australian series ‘The Block’. The Block NZ airs on TV3, and is produced by Warner Bros. International Television Production New Zealand. For a look at the eTribez casting URL, see: https://wbitvpnz.www.etribez.com/a/wbitvpnz/theblocknz6/welcome. 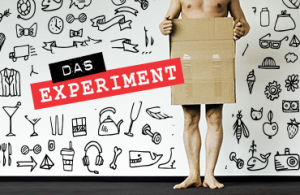 eTribez and Endemol Shine Germany have launched online casting for Undressed, a unique experimental show that aims to find out what happens when all of a person’s belongings are deprived of them for 30 days. Whether it’s our smartphones or fancy clothes or cars…we’ve all gotten used to certain luxuries in life. But what happens when all of that is taken away? ‘Undressed’ will find out how contestants can survive without the things so many of us have come to be dependent on each day. For a look at the eTribez casting URL for the show, see: https://esgde.www.etribez.com/a/esgde/undressed/welcome.